There is no question that working on an oilfield is one of the most dangerous jobs one can have. The type of equipment is massive, complicated and difficult to manage, making it all very hazardous. You have drilling, work-over and completion rigs, hot oilers, gas plants and compressor stations, oilfield trucks and the roustabout, along with other services that require very precarious, heavy equipment. The entire operation takes place in a highly explosive environment full of all kinds of dangerous products and toxic chemicals. To make this a safe place for workers there must be continual attention paid to every aspect of the industry’s safety policy and protocols to prevent catastrophic accidents from occurring. Oilfield injuries including those involving drilling rigs are commonly due to someone’s negligence, an error or a mistake in judgment. With so much demand for production and profits, there is overwhelming pressure on workers, which can ultimately result in taking ill-advised shortcuts, sometimes ignoring well-established oilfield industry accident prevention and safety measures. This extremely high-pressure work environment when combined with the usual can-do demeanor and attitude of oilfield workers can produce a greater likelihood of serious on-the-job injuries or even death. Large oil conglomerates have unlimited financial resources to mount legal battles fighting oilfield accident claims and lawsuits. Your typical Workers’ Comp lawyer has no idea about maritime law and certainly no experience litigating oilfield accident cases with the level of knowledge to fight effectively. Little, Oliver & Gallagher has a network of industry insiders we can access in this oilfield practice area of the law, years of experience fighting these highly complex lawsuits, and most importantly the determination to prevail in fighting big oil to protect your rights in obtaining the financial compensation you deserve. 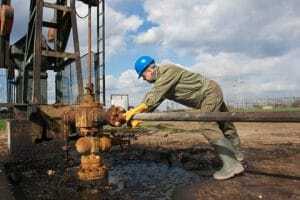 If you’ve been involved in an oilfield accident or oilfield injuries, and you think you have a right to be compensated for all you’ve been through, complete the form here or pick up the phone and For more information about your legal rights and the compensation you may be entitled, contact one of our highly qualified Attorneys in the Oklahoma City area call (405) 253-4478 or our main office in Ardmore (580) 798-0447.